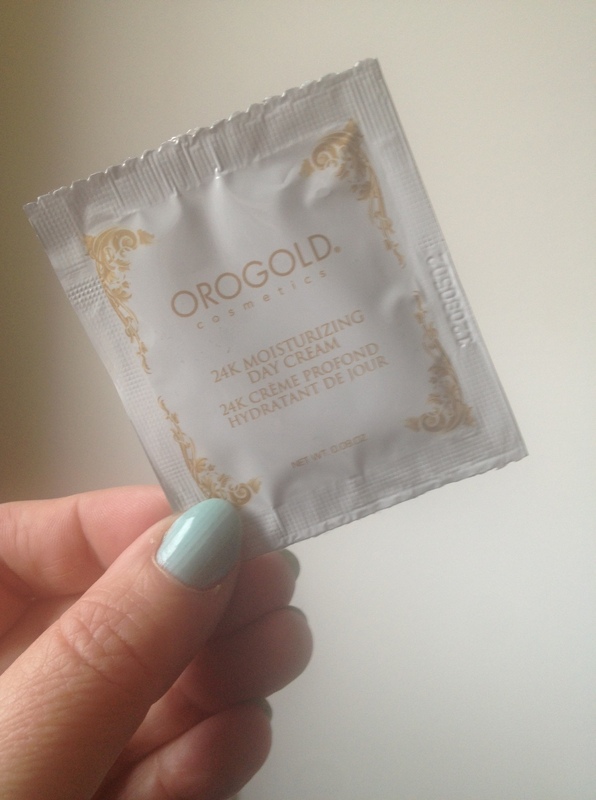 Tautology and Beauty: Oro Gold | Bright & Beautyfull! I was in a great mood yesterday: loved my outfit, had me nails did at a fab Garnier launch in conjunction with Volunteer Ireland, saw many of the beauty pals there, went and started a facial de-fuzz-ifying process at Akina in Temple Bar, and with the sun out and all, decided to go for a browse in Brown Thomas — why it makes sense to go for a spin through a shop when it is glorious out-of-doors, I don’t know. I still have the token I won at a recent La Roche-Posay event, and I wanted to do some research. All in all, an unmitagatedly bold-facey kind of day. So I took, it obvs. Sure, why not? I love a good sample, in a manner of speaking. Made the mistake, though, when the dude asked me if I had a moment. Well, I have many moments, but moments like these, not so much. Some crazy, evolutionary, socially hard-wired thing made me stop, just long enough to allow him surge right up to the outside edge of my personal space, and ask what sort of skincare I used? Between thinking What’s this dude gonna know about skincare* and the sheer impossibility of my being able to answer that question, I put up my hand, said ‘Sorry!’ and turned away. Also, the thought Oro Gold is a fairly redundant name snuck in, and I’m sure that millisecond of grammatical irritation made my feet move. I woke up this morning quite curious about a brand that used gold in its products. There is little to no information on the Irish website, as regards where they come from. I went agooglin’, as you would, and turned up this rather cautionary tale on Beauty Snob, dated 2011. The brand seems to be based in America, and is mad expensive, which, yeah: gold as a primary ingredient. Reviews are mixed: folks who dislike a hard sell and make the choice to enter have found that it is an unrelenting experience. Folks that love the product love it. Which is par for the course, really, but holy moly, the price list is faint-worthy. *Since I am planning a Dude Week here at brightandbeautyfull, that is rather a sexist remark! She did a really good blog post on them!